Amazon has got the Whitmore Double Laundry Sorter for only $8.50 with free Prime shipping. Please be aware that even though this has Prime shipping, the delivery period is shown as 1 to 2 months. 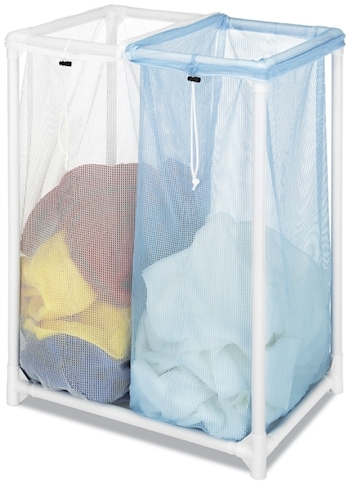 Whitmor's double laundry sorter is made of a durable plastic tubular frame.